Living and working in Michigan as a winemaker would seem to be out of character for most winemakers. Most of the wannabes head to California as fast as their feet can carry them. But, when one’s already a character, you can take that job anywhere. Adam Satchwell’s done just that, and perfectly happy to be in his own element after studying with the master (and uncle) Jed Steele. It’s also not an accident that Jerry Shriver, of USA Today, just wrote, “Off the beaten wine trail: Explore four emerging regions,“ which includes Michigan and Shady Lane Cellars. Adam’s shared that he recently met Jerry in New York, who tasted Shady Lane’s wines. Jerry was obviously impressed enough to create a story that would be about a few new and emerging regions, Michigan being one of them. 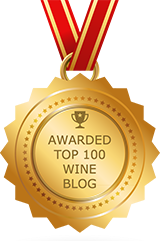 Nationally known wine writers Eleanor and Ray Heald have long known about Michigan wines, because they’re based in Detroit… With Jerry writing about Michigan wines, this tells me that word is certainly starting to spread. Born and raised in Columbus, Ohio, Adam first admits to being a life-long Ohio State fan… Right off the bat, before anything about wine is even mentioned. After graduating from high school at the age of 17, Adam fibbed about his age in order to get a job as a clerk in a wine store in Kalamazoo, Michigan. It wasn’t so much that he envisioned a career in the wine industry, but he thought that it beat delivering pizzas, which he had been doing for about a month. Within a year, he realized that the wine business was, indeed, a place he could settle. As a result, he decided to move to California to enroll in the Viticulture/Vineyard Management program at Santa Rosa Junior College (SRJC), under the supervision of Richard Thomas. While there, he worked as a cellar rat at Mark West Vineyards in the Russian River Valley; he also occasionally worked at Edmeades Vineyards in the Anderson Valley of Mendocino. It was at Edmeades that Adam worked with his uncle, Jed Steele, and participated in producing some exciting single vineyard Zinfandels and Chardonnays. Jed went on to fame, establishing Kendall-Jackson as the foremost producer of Chardonnay in California, before starting his own brand, Steele Wines. From SRJC Adam continued his studies at the University of California, Davis, continuing to work with his uncle Jed at Kendall-Jackson in Lakeport. Then, as often happens in life, Adam found himself unexpectedly in the Washington, DC, area for what was planned to be several weeks but ended up being seven years. In Washington, Adam managed a specialty wine store that further exposed him to an incredible array of top quality wines from around the globe. This experience helped Adam to come to appreciate and understand the wines of Germany, Alsace, Loire, and Burgundy, which have done much to guide his winemaking philosophies at Shady Lane Cellars™. Feeling the tug to get back into wine production, Adam then went to work for several years as the winemaker at Benmarl Vineyards in Marlboro, New York. Benmarl has the distinction of being the oldest continually operating vineyard in the country. Vines were planted on the site in 1788, and have been growing there ever since. From there, Adam decided that it was time to find a part of the world in which to settle and to put an end to the vagabond wine guy life. Having always considered the Midwest “home,” Adam returned to Michigan. While looking for a winery and a winemaking position that showed potential for producing wines of world-class status, Adam managed a specialty wine and food store in Dearborn. 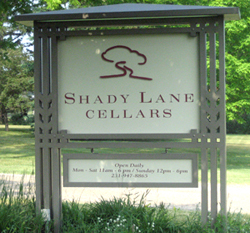 In 2000, the opportunity to become winemaker and vineyard manager at Shady Lane™ presented itself. During his time at Shady Lane Cellars, Adam has been an integral part of what is rapidly becoming a wine-producing area capable of making world-class wines. 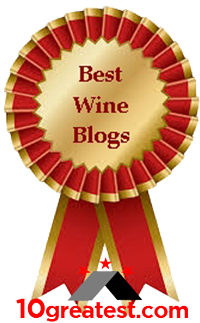 These wines are capturing the attention of wine writers and savvy wine consumers. 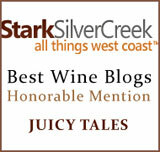 Under Adam’s guidance, wines produced at Shady Lane Cellars have won numerous “Best of Class” and Gold Medals in many national and international wine competitions. 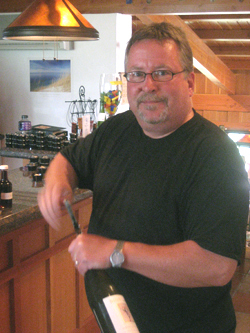 Adam is currently serving his second term as the president of the Leelanau Peninsula Vintners Association, an organization devoted to raising awareness of the wonderful wines from the Leelanau Peninsula. In July of 2008, Adam was invited to speak at the prestigious “Riesling Rendezvous,” held at Ch. Ste. Michelle. 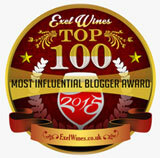 This event was a gathering of the best Riesling producers from around the world.